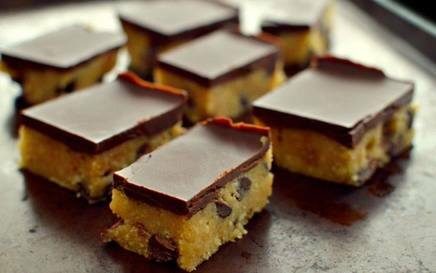 No bake cookie dough bars! All of the taste of cookie dough, without the worry of raw eggs! This recipe from One Green Planet is also Vegan & Gluten Free! So, no guilt making and eating this one!